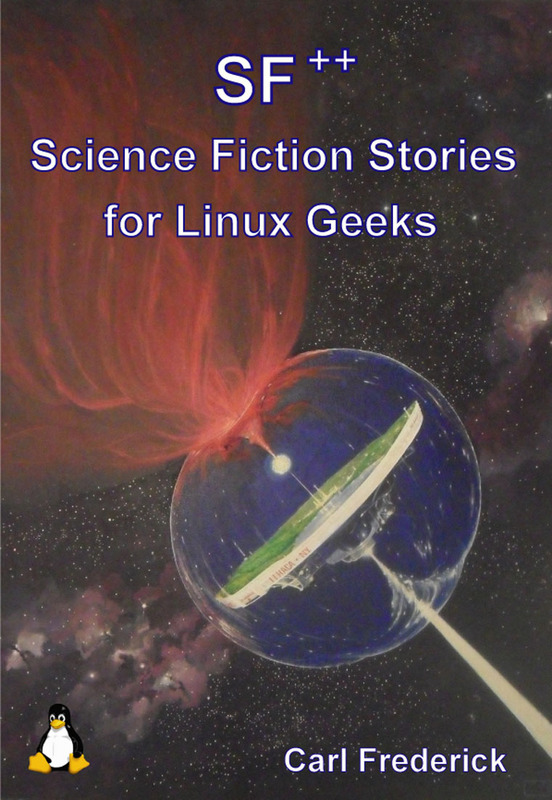 SF++ has Linux in its title, and the Linux operating system doesn't cost anything. I thought then, to keep with the Linux philosophy, I'd make this book also not cost anything. And anyway, most of the stories herein have already paid for themselves--seven of them have appeared in Analog Magazine (the one true SF magazine for Geeks). But, experimentally, I've found that e-book buyers tend to equate price with worth. So (since I believe SF++ has sufficient worth) I've priced the book on Kindle and Nook at $4.00. To keep with the Linux philosophy though, I'm providing the book for free through this website. If after you read the anthology you find you've enjoyed most of the stories, you might consider (hint, hint) e-hoofing it to Amazon and buying one of my other other anthologies or novels. I intended an anthology for geeks--smart, independent, computer and science savy geeks with a sense of humor. And, for me, that pointed to Linux. Linux geeks are smart (I mean they use Linux, after all). They're independent enough not to use that other operating system. And finally, there's a tradition of humor and word play in the Linux community. Pine Is Not Elm, if you knew Suse, Gnu is Not Unix, and all that. And so, SF++ (Note: the anthology is not distro specific--except for one instance where Ubuntu is assumed). ++ does not indicate a new object oriented language like c++. The first + indicates that in addition to stories, there's a science fact article (Challenge of the Anthropic Universe). The second plus indicates an experiment--a story ('Roblocks') that can't be done in dead-treeware. It requires an html capable reader. And indeed this collection is intended for the Kindle Grub (GRand Unified Book Loader). Most of the 0x10 works in this ninety-three thousand word collection have appeared in pro SF magazines. Many also appear in my earlier anthologies.